For her birthday this year, my sweet daughter wanted a Rapunzel cake. She’s obsessed with the movie Tangled and her 5th birthday party was a reflection of that. 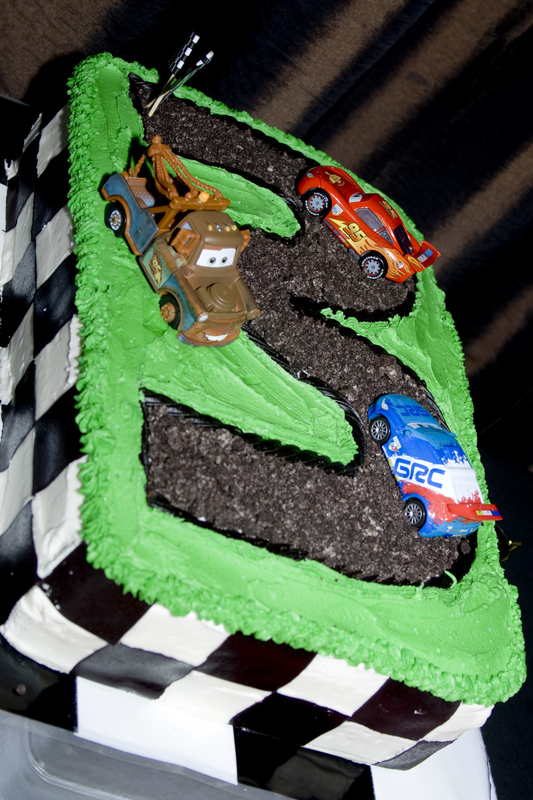 I used this buttercream for her cake as well as my sons Cars birthday cake. It is very easy to work with, holds up when piping it on the cake and tastes delicious. In a mixing bowl, cream shortening & butter until fluffy. Add sugar, and continue creaming until well blended. Add salt, vanilla, and 6 ounces whipping cream. Blend on low speed until moistened. Add additional 2 ounces whipping cream if necessary. Beat the frosting with an electric mixer on high speed, a minimum of 10 minutes, or until nice and fluffy. WHAT DID YOU USE FOR THE TOWER ITSELF i CAN TELL IT IS LIKE A CUPCAKE AND A ICE CREAM CONE BUT WHAT IS THE CYLINDER?? The cylinder is rice crispy treats. Make the recipe on the box, but leave out the butter. Then mold it around a wooden cake dowel while it’s still warm and allow to cool. I kept a couple inches of the dowel poking out at the bottom so I could insert it into the cake. Warning though – it will not be edible. But will make a perfect, lightweight tower. Good luck! Bakerlady, where did you get the dolls and horse? the whole cake is absolutely fantastic. 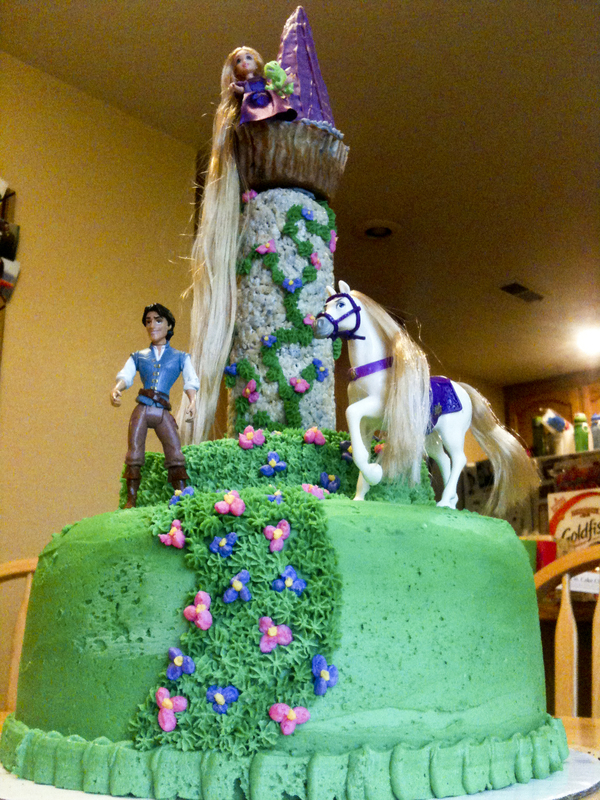 I want to make for my granddaughter in Dec. she too, loves Tangled. thanks.